He’d been ill for about 10 weeks and we’d been backwards and forwards to the doctor. He’d been vomiting and there was a bug going around school so we thought nothing of it. But he was still being sick a fortnight later and wasn’t eating properly. His was complaining that his head hurt and his eyes looked tearful, even though he wasn’t crying. After five or six weeks, the doctor sent Charlie to hospital for further tests. We didn’t know this at the time but he had fluid on the brain which accumulated when he was lying down, but the moment he sat up, the fluids subsided. They couldn’t find anything wrong so he was sent home. Over the bank holiday weekend, he was still poorly, I phoned my sister (who’s a nurse) and she told me to phone the hospital. We went to A&E but he wasn’t showing any symptoms, no temperature or anything, by the time we got there, because he’d been sat up in the car. But he’d lost weight and was having severe headaches so I knew something was wrong. The hospital tried to send us home but I refused to go anywhere. My boy needed a scan and I knew it. After the scan, the consultant came to see us and took us to a side room; I knew something was really wrong. He needed another scan. We drove to another hospital and he was put on steroids straight away. When we walked into the hospital and I saw kids with pumps and bald heads, I couldn’t believe what was happening. ‘We shouldn’t be here’, I thought. 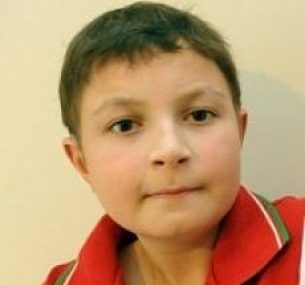 Charlie needed a seven-hour operation to remove the tumour, followed by intensive radiotherapy. He was a bit like a guinea pig; usually the programme would be eight weeks but he had five weeks of treatment, twice a day. We were given other options but the final decision was ours. He needed six weeks for recovery. The radiotherapy caused burning on his head and spine. He stopped eating because his oesophagus was burnt too, so he was on a nose feed at night. When he was going through radiotherapy, I kept on questioning our decision – were we doing the right thing for Charlie? But I knew we were. Nine years ago, there wasn’t any alternative treatment. When the tumour was removed, we waited five days for the biopsy results. The tumour was entwined on his spine so I always say that we had lots of luck – it was just all bad! Charlie also needed one year of chemotherapy, with treatment every six weeks. During this time, our whole family life was on hold, but we had great support from friends and family. My sister was a nurse on a children’s cancer ward and was a huge help. She told me what to expect and was my guardian angel. We all got through it together – I looked after Charlie and my husband continued to work so we could pay the mortgage! But we learnt to accept what was happening and learnt to cope with everything that was thrown at us. I lost two stone in two weeks from the stress, but my main objectives was to get Charlie back – it was a long road. Charlie missed two years of school which was really difficult for him as he was (and still is!) a bit of a bookworm! But he’s back in full-time education now which is great. The last scan was six years after he was first diagnosed. When they told us that they didn’t need to see us anymore, it was a huge relief. I was in a bit of a daze! We have to keep an eye on Charlie’s health and growth as he‘s got an underactive thyroid due to the treatment. He’s lost his high decibel hearing in both ears and wears hearing aids. It’s all just part of his make up now and good times have come out of bad – Charlie is happy to talk about his experiences and has been on the TV and the radio! That’s why we like to share our story – to give inspiration and we’ll do what we can do to help others.